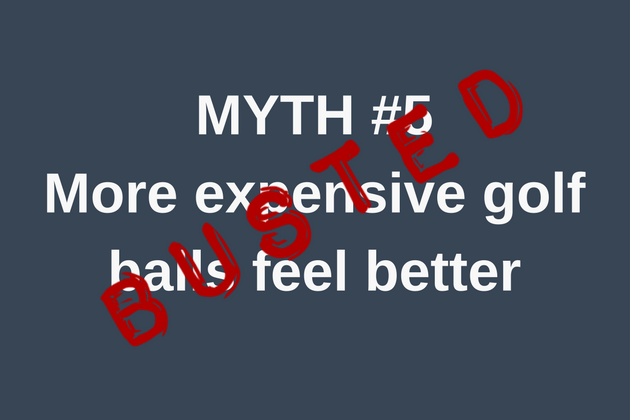 Golf Myths Unplugged - Are More Expensive Golf Balls Better? When I started working in golf retail, one statistic absolutely floored me: the top-selling product in golf was the Titleist ProV1. Number two? The ProV1x. I guess it shouldn’t have surprised me. Titleist spends a fortune to make sure it’s the most-played ball at every tournament, and every golfer wants to be like the pros, but are regular golfers getting a benefit from this $4 ball? Would they actually play better with something cheaper? We did the testing to find out. For this test we brought together seven golfers with handicaps ranging from 0 to 17. Each golfer used their own driver and sand wedge to hit five good shots with a value-priced ball, a mid-market ball, and a Tour ball from the same manufacturer. All data was recorded by TrackMan at Club Champion. Myth #1 - Busted. We saw marginal differences in smash factor between golf balls. Of our three testers who swung over 100 MPH, one had the highest smash factor with the Tour ball, one with the mid-tier ball, and one had the same smash factor with all three. Looking at the three testers who were below 95 MPH, one got the most speed from the value ball, one from the mid-tier ball, and one had equally good results with the value and mid-priced balls. What needs to be emphasized again is that the differences at all swing speeds were marginal and are likely attributable to differences in strike quality, not the ball. Myth #2 - Another one bites the dust. 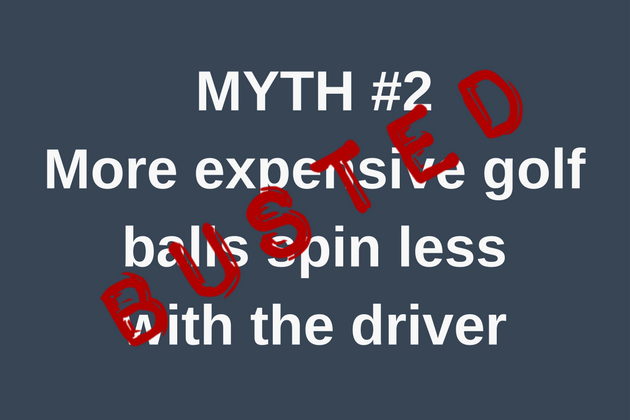 We found no correlation between the cost of the ball and the spin off the driver. 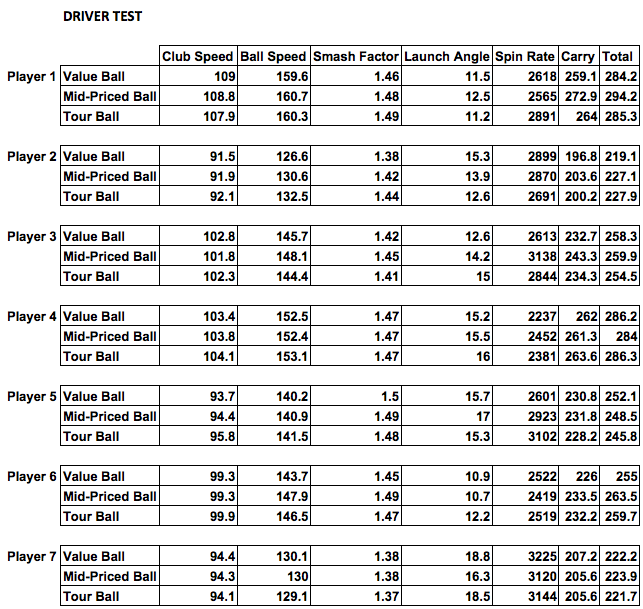 Two of our testers produced the most driver spin with the Tour ball. Three spun the value ball the most, and the final two had the most spin with the mid-priced ball. 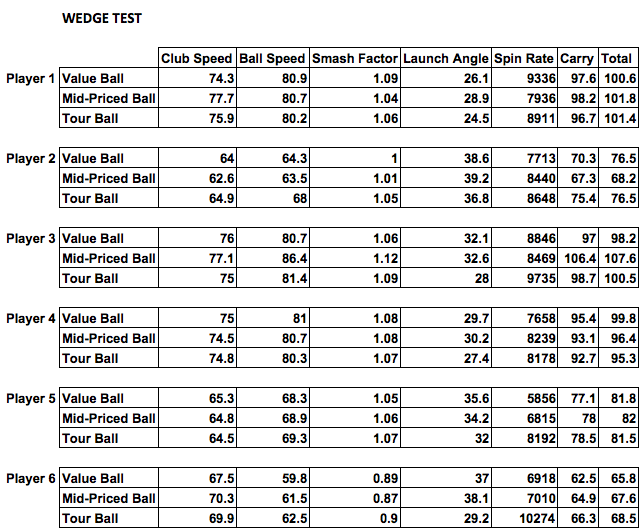 Looking at the data, what was most interesting was that the difference between balls was negligible for many testers. Five of our seven testers had less than a 300 RPM difference between the ball they spun the most and the ball they spun the least. The other two had differences around 500 RPM from highest to lowest. Again, strike quality can easily account for these small differences. 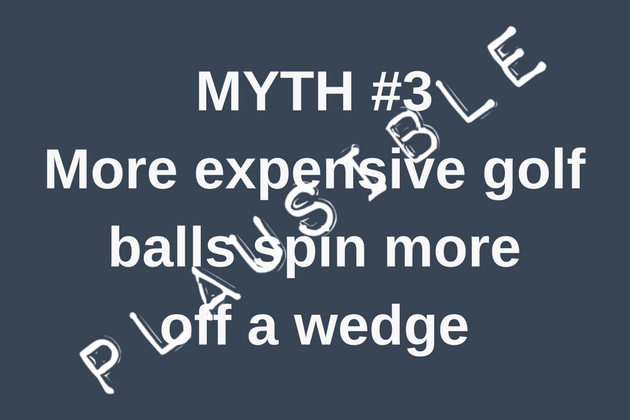 Myth #3 - The idea that Tour balls spin more is plausible and on the brink of being confirmed. Of the six testers, four produced their highest spin numbers with the Tour ball. Within this group, three produced significantly more spin with the Tour ball, the other was nearly even with all three balls. Looking at the other two testers, one produced nearly equal spin with the Tour and mid-priced balls. The final tester produced the most spin with the value-priced ball. An interesting facet of this data is how the spin gap relates to distance. The three players who hit their wedge shots the farthest were the ones who spun the non-Tour balls more. The player with the largest gap in spin between balls hit his wedge shots the shortest distance. This leads us to wonder if the advantage of a Tour ball is not seen in full shots but in partial shots and pitches. This is an area we would like to test further so that we can examine the performance gap in wedge play and fully confirm or bust some myths. 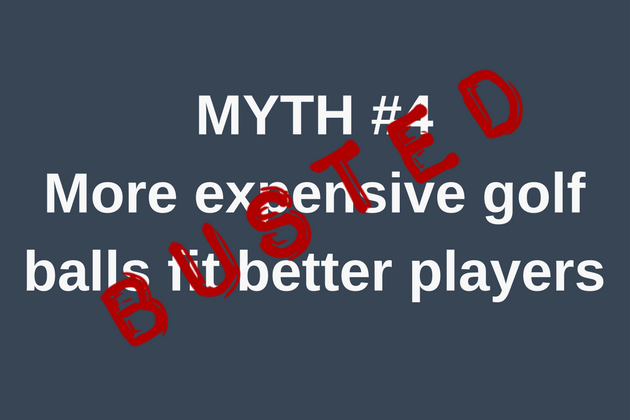 Myth #4 - There was nothing in our data that showed that better players need to play a more expensive golf ball. Particularly with the driver, there was nothing to indicate that faster swingers or better strikers get benefits from a Tour ball. With the wedge, we did see some testers produce significantly more spin with the Tour ball, but our best player did not. It is possible, perhaps even likely, that a better player will prefer a Tour ball for one reason or another, but our data does not show that they are always a better fit. Having done a lot of launch monitor testing with golf balls, the earlier results did not surprise us that much. We knew that great performance could be had without spending big money. What surprised us is how varied our testers’ preferences were when it came to feel. 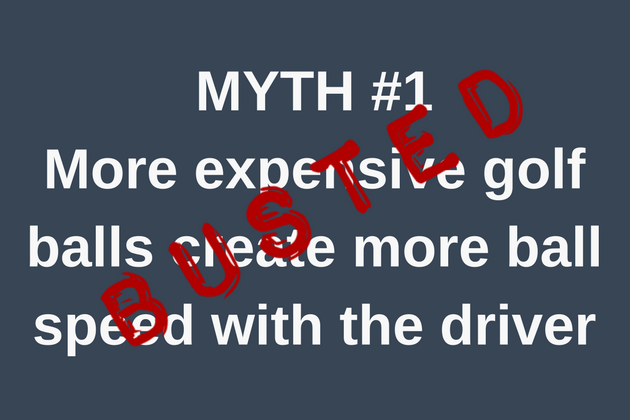 Myth #5 - No golf ball gained universal praise from our testers. Some preferred the value ball from the driver and the Tour ball off the wedge. Others were exactly the opposite. Preferences did not track with handicap either – our best player said they all felt the same! This underlines the point that feel is subjective and personal. It would be very interesting to investigate the preferences of an even larger group, particularly if they did not have the benefit of knowing the cost of each ball. The scope of this test was limited, and we want to acknowledge that here. First, we only tested one brand of golf ball. Is it possible that other brands have a larger variance in their value product to their tour product? Yes, and that’s something we may test in the future. Additionally, as was mentioned earlier, we would like to do more wedge testing to see if there is a measurable difference in wedge performance between golf balls and where it lies – full swings, pitches, etc. Good news, golfers: there is no need to spend $4 a golf ball! Golf ball manufacturers have brought excellent performance to their products at all price points, which puts more money in your pocket. We did see some evidence that more expensive balls spin more on wedge shots, specifically short wedge shots, and it’s up to each individual to decide if that one element is worth paying double or triple for.